I’m not keeping up with these very well. I seem to realise it’s Monday too late. I’m not going to put myself on the blogging naughty step however as there are no rules on my blog. We’ll just overlook my tardiness and have a look at what I’ve made this week. This time I’ve got another bag to show you. I used the same pattern as Little Lady’s ballet bag. 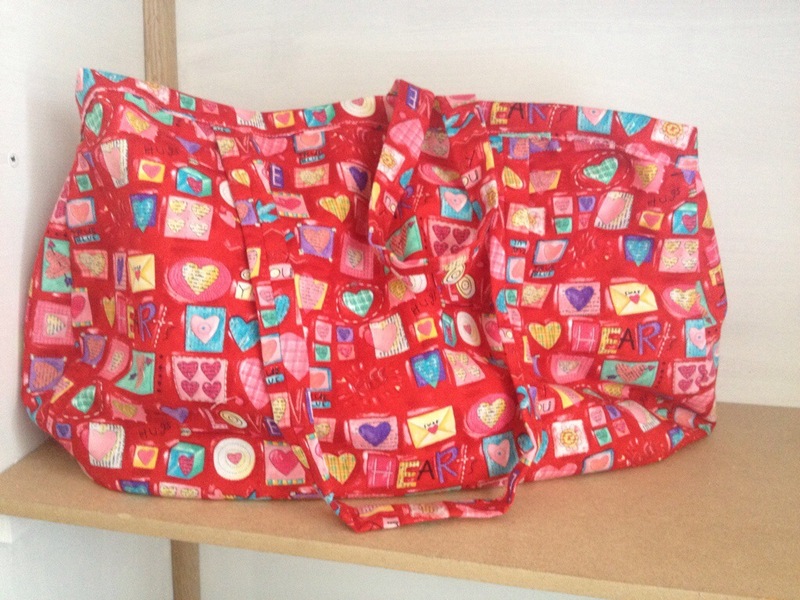 It is a lovely pattern to work with and gives a spacious bag as a finished product. One of my resolutions goals for this year is to sew more, and over on the creative pixie’s blog, Jean is running a Make It Monday feature. She is doing it slightly differently to me as I would like to use it to show things that I have made. Maybe I should call it Made It Monday instead, hmm? So today is the first Monday in January and the first “here’s one I made earlier”. Before the Christmas holidays, little lady brought a letter home from school asking for various items for the play shops they are making/running as part of their social learning. We didn’t have any of the items on the list to donate and, as money is a bit tight, I didn’t really want to go out and buy anything, so I pondered pretty much the entire holiday, wondering what to do. 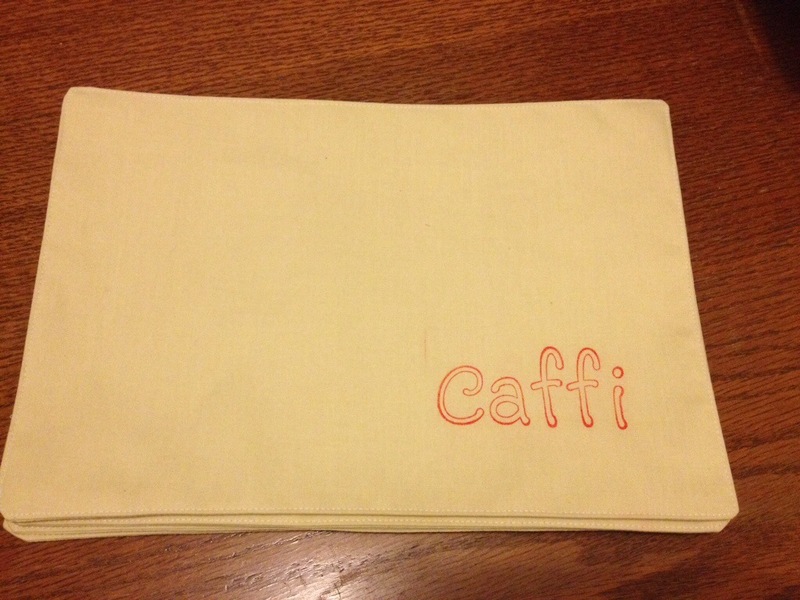 One of the shops in the “village” is a cafe and the cafe needed placemats, so I decided to make some using fabric from my stash, therefore decluttering at the same time *polishes halo* 😀 I stamped the word Caffi (welsh for Cafe) in one of the corners to make it a bit more interesting and top stitched around the edge. Pretty simple but effective.